Abundant resources and reserves at Sokor field with extracted gold grade higher than cut-off grade. Current minimum ore processing capacity is expected to be ramped up in the upcoming future, from the current 1.2mn tonnes per annum. All-in sustaining cost and All-in cost trended down over the past 5 years and are currently maintained at around US$500/oz. Other resources such as Silver, Lead, and Zinc have yet to be explored, thus the value of these resources are not priced in yet. 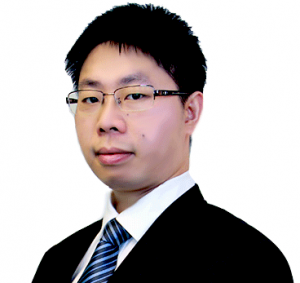 The acquisition of Pulai Project is awaiting to be sealed and expected to create positive synergies. We initiate coverage on CNMC with a Buy rating and a DCF-derived target price of S$1.03 using a cost of equity of 9.8%. Together with an estimated dividend of SG cents 1.4 for FY16, implied upside is 6%. The imbalance between supply and demand in the physical gold market is not the main driver of gold price. Exponential increase in global monetary supply due to several rounds of quantitative easing inflated asset prices, including gold. Gold, a safe haven asset, performed well during recessions; we see signs of an impending recession from recent slowing US economic data. We initiate coverage on CNMC with a Buy rating and a DCF-derived target price of S$1.03, using a cost of equity of 9.8%. Together with an estimated dividend of SG cents 1.4 for FY16, implied upside is 102.6%. Commenced operation in 2007, CNMC is the first gold miner listed on Catalist board in SGX in 2011. The group is engaged in gold production and related businesses such as exploration, mining, and the processing of ore into gold dores. Currently, the group is focused on the flagship project, Sokor Gold Field Project, which is located in the State of Kelantan in Malaysia. Covering an area of 10km2, Sokor is estimated to contain 618,000 ounces of JORC-compliant gold resources, including mined ore reserves, as of Dec-2015. 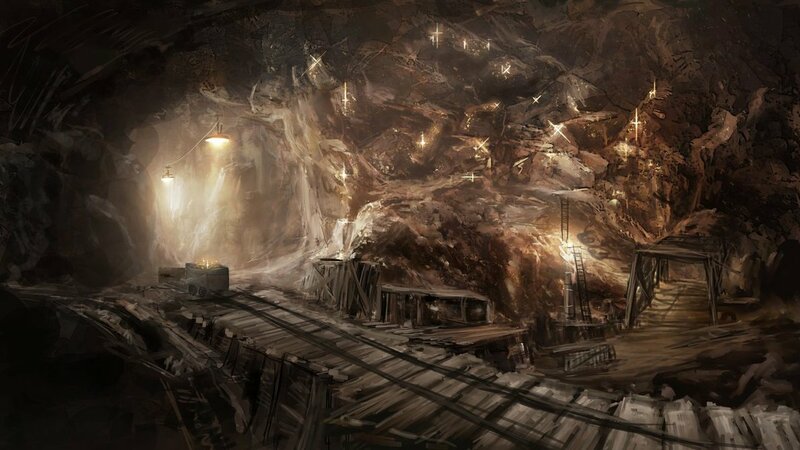 The field is comprised of four identified areas, namely, Manson’s Lode, New Discovery, Sg. Ketubong, and Rixen. As of Dec-2015, total measured, indicated and inferred gold mineral resources for the Sokor Gold Project were 13.83mn tonnes at 1.39g/t gold with contained gold of 618,000 ounces (2014: 10.81mn tonnes at 1.5g/t gold with contained gold of 506,000 ounces). In Jun-2016, the group signed a non-binding letter of intent with Pulai Mining Sdn Bhd to acquire a 51% stake. Pulai mining is a brownfield with 11 licenses covering roughly 38.4km2 to explore and mine for gold, iron ore, and feldspar. Eye on the gold value chain, there are mainly five gold supply channels, namely, mine production, artisanal production, recycled gold, official sector sales, and net producer hedging. Mine production dominates the majority of supply and sees relatively lower volatilities in numbers yearly, while the latter three channels are subject to the macroeconomic environment, resulting in volatile supply. 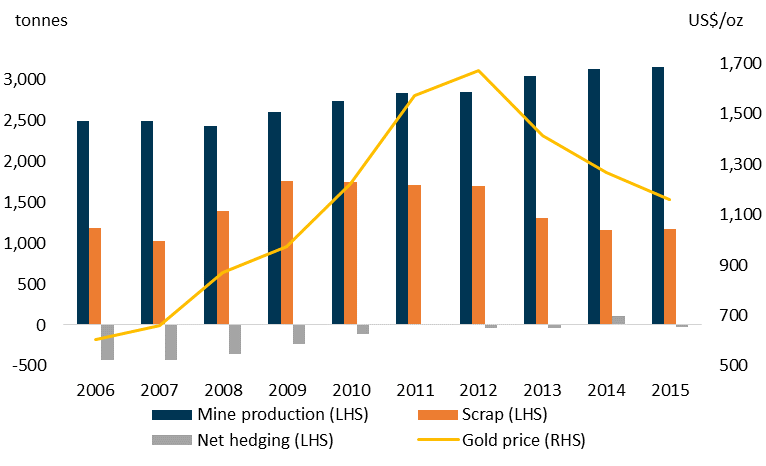 According to the GFMS Gold Survey 2016, referring to Figure 1, the supply from mine production has been trending up over the past decade, from 2,497 tonnes in 2006 to 3,158 tonnes in 2015. Scrap supply (artisanal production and recycled gold), the second largest contribution, was relatively price-sensitive, tracking the rise and fall of the gold price, since the scrap holders selectively and speculatively monetised gold in hand during the upswing period and were deterred to sell when gold price was under downward pressure. Likewise, net producer hedging, which is the change in the physical market impact of mining companies’ gold loans, forwards and options positions, moved inversely with market price and expectation. 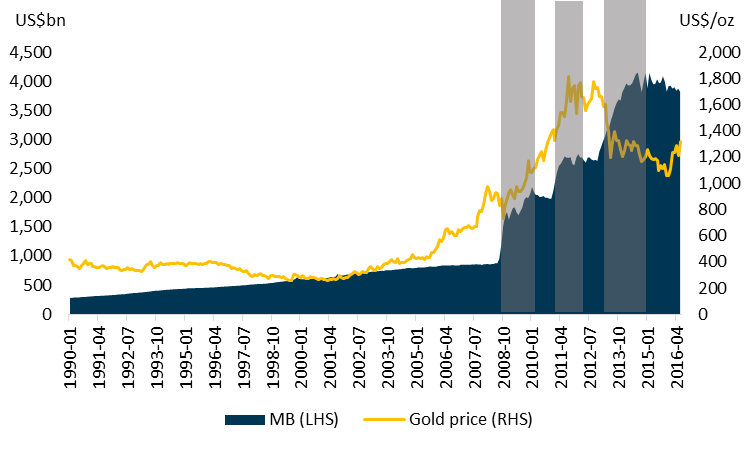 In the gold bull market, gold miners leveraged financial instruments to defer deliveries at a higher price, while in the bear market, they locked in the selling price in order to avoid further downfall. As for the demand drivers for gold, demand generators can be classified into 4 broad categories – jewellery, investment, official sector, and industrials. 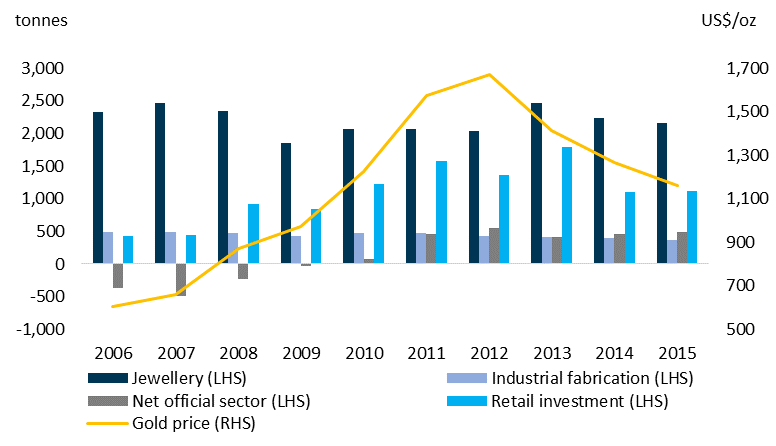 Over the last decade, demand derived from jewellery-making and investment purposes ranked as the top two, which were influenced by the market sentiment towards gold price. However, the amount of industrial demand was on an apparent downtrend, with the drop from 482 tonnes in 2006 to 361 tonnes in 2015, due to the development of substitute materials. Lastly, since the 2008 global financial crisis turmoil, the official sector, especially central banks and major financial institutions, started increasing their gold reserves, reversing a previous trend, partly due to the authorities’ weakening faith in the fragile currency markets. Rising regional conflicts worldwide also lifted the demand for gold in treasury vaults. After all, gold has been recognised as the perfect risk avoidance asset amongst all. 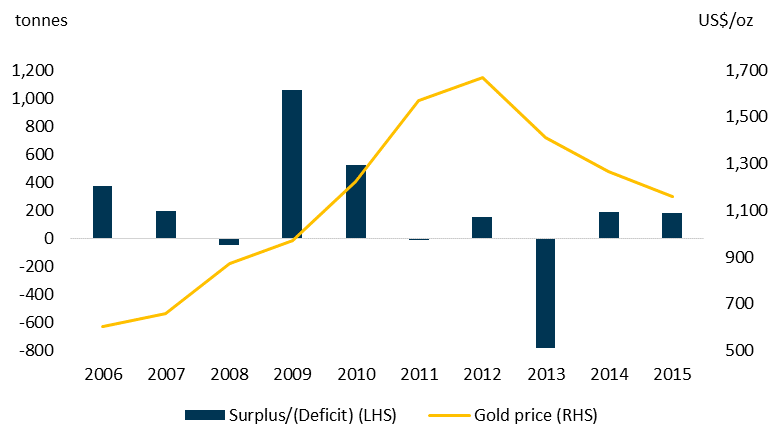 As shown in Figure 3, global gold supply and demand balances were shifting between surpluses and deficits over the past decade. Here we need to indicate that gold price is not mainly driven by the imbalance between supply and demand, but is more driven by monetary supply (we elaborate on this in the following paragraphs). Fluctuations in gold price in turn drive demand and supply dynamics. When gold price is riding on the tailwind, producers are inclined to expand production to capture the higher margin, while investors and consumers will take advantage of lower gold prices when gold prices move down, thereby boosting demand. US started to launch the quantitative easing (QE) program in order to deal with liquidity crunch during the subprime crisis in 2008. A total three rounds of QE lasted for seven years, initiated in 4Q08 and ended in 4Q14. Referring to Figure 4, the three rounds of QE (highlighted in grey) distorted the normalised growth of monetary base over the past decades. As a result, asset prices were inflated exponentially. For instance, US equity market reached a new high in early 2013 right after the 3rd round of QE was announced. With the continuation of QE, S&P 500 index skyrocketed and reached the all-time high of 2,193 in Aug-16. 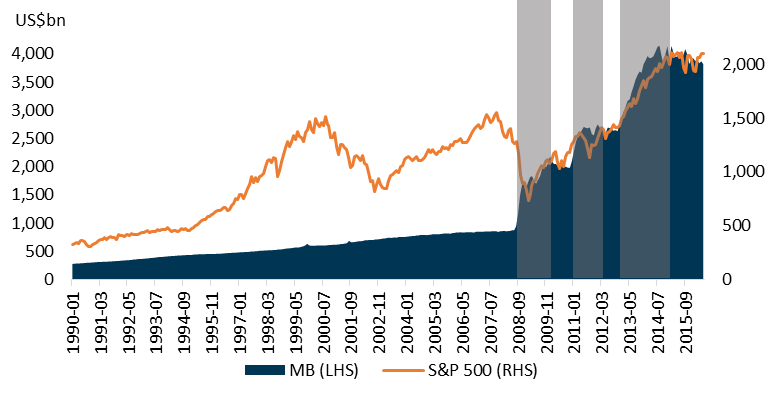 The flooded monetary base tremendously boosted liquidity which drove equity prices up. Referring to Figure 5, the gold bull market began in 2005 and ended in 2012. Subject to dire sentiment widely spreading during the subprime crisis, those gold positions were inevitably liquidated. However, gold rallied swiftly right after the 1st round of QE was announced, since the market pursued less risky assets, among which gold is viewed as a traditional safe haven. Benefiting from the 2nd round of QE, the unstoppable inflows of capital pulled up gold prices to the all-time high level of US$1,920/oz. The paradox was triggered in 2012 because gold markets turned the other way round when more capital was pumped into the market during the 3rd round of QE. One of the reasons could be investors shifted capitals to equity and bond markets to pursue higher yields. Therefore, the gold price was supressed. Please download the full report to read on.